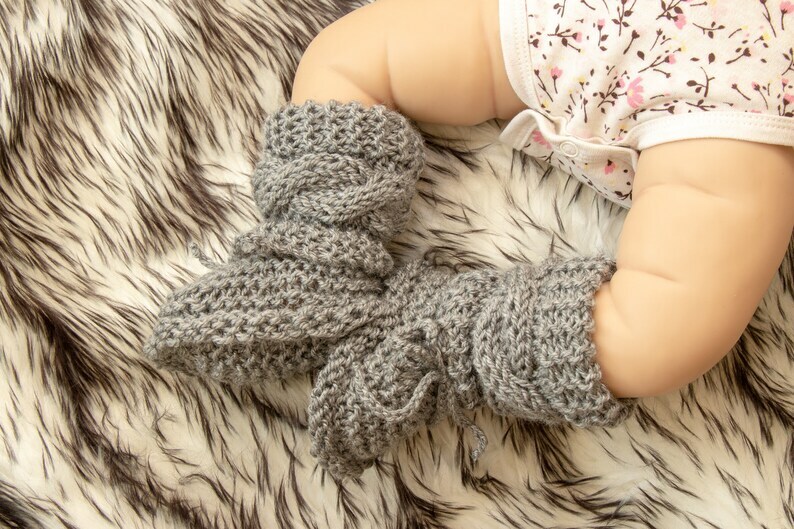 These adorable baby booties are hand knitted with 100% super soft gray acrylic yarn (super soft, NO itchiness!) They come packaged in a kraft box for easy gift giving. Love them so much, cuteness overload! 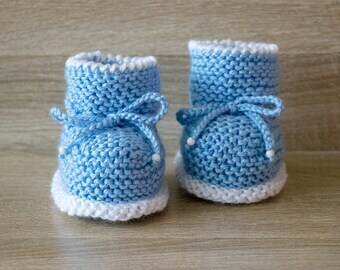 Beautifully made and safely shipped to Australia. Recommendable seller. Many thanks! Order received as described and arrived within outlined time frame.